Remaining focused and calm on the golf course is a sure fire way to shoot low scores. This is not a revelation for most avid players, yet it seems that it is a lesson I forget from time to time. In my game, the concentration for a solid round starts prior to my first tee shot, but that first shot sets me up for success if I approach it with the proper frame of mind. In other words, finding my centre and keeping it! And very important to playing solid low scoring golf! The moment I step onto the first tee is the when my mental game becomes tuned. I prepare before arriving to the first hole, but when selecting a club for my first hit, I mentally narrow my focus. It is important to start as soon as possible because I believe that the first hit helps set the stage for the next 3.5 hours of fun. At Osprey Links Golf Course, our first hole is a par 5, dogleg right with water down the right and OB on the left. It actually sounds like a tough hole, but in actual fact it is not really. Three average shots and I can easily reach the green with no issues. However, the risk reward for cutting the corner on the right brings the water and two difficult sand traps into play. There is plenty to think about and remaining centered is critical on that first shot. The fairway is about 40 yards wide and narrows at the corner. If I hit a very good shot, I can go through the fairway, but not into any real long trouble except longer rough. If I hug the sand traps, I can roll out far enough to maybe reach the green in two (I have only accomplished this twice in all the years I have played Osprey Links). But, this is a low percentage shot. Going right is wet all the way. Standing behind my ball on the first tee, I focus on the centre of the fairway just past the sand traps on the right. There is a telephone pole I use as my aiming point and then I swing away. It is after my first shot that my effort to remain centered starts. If I was not mentally prepared before I hit my first shot and pull the ball left, I have to convince myself that it is on the first shot. If I push it right, I am scrambling to save par and remain calm. Now this to and fro battle in my mind begins because I was not mentally ready to start. If I am centered and focused before my first shot, my mind does not immediately start to scramble. It stays calm and I start to focus on the next shot. I can honestly say that this is the norm. I am mentally prepared before I start and it allows me to navigate any challenges I face without any sense of panic or mental strain. When I find my centre before I play and keep it for the entire round, golf seems very easy to play and I shoot low scores. Being mentally prepared to play golf is as important as being physically ready. The options are endless for players to find that mental path to success. For me, it is finding my centre and keeping it for the entire round. It can be challenging some days, but most of the time it is a natural part of my preparation to play. When I am centre all is good on the course; when I am not, well ……. Do you find your centre before you play? ← Have An Awesome Saturday! Jim, I try and find my center, and as you mention, the first tee shot is so important because it feels like it sets up your whole round. There is nothing you can do to guarantee a good first shot but good mental prep will helps the odds. I like to reserve enough practice balls on the range to play the first hole three times as a rehearsal. In your case it’s a par-5 so I’d keep 9 balls and hit them in order of the tee shot, layup, and approach – x3. Paints a good mental picture. Then on the course you treat is as the fourth try. That is a great drill to use right before you play. The only downside to our course is there is no range. It is unfortunate, but it is what it is. We have a net and I will have to try that next spring. Jim, you should do a post on how you warm-up for a round without a range. Would be relevant for folks without ranges or for those that forego a warm up all together. Thanks. That is a great idea! I’m not sure why, but the first tee shot never seems to be a big issue for me. Staying centered for the subsequent shots has been more trouble than being centered for that first swing for me. That said, if I do hit a less than great shot off the first tee with a driver in my hand it’s usually going to end up right of where I wanted it with my current swing. So I took a look at your 1st hole on google earth and that told me if I was not warmed up I’d probably hit an iron off that first tee. Since I’m still not comfortable with drawing the ball again yet, that would take any fear of pushing or fading too much out of the picture and still leave me feeling comfortable that I could reach the tiny green on that hole with my third shot. When we play the back tees in a stroke tournament, I hit a 4 iron. Leaves me short of the water for sure and an easy shot over towards the green. It is the safest way to play the hole for sure. Google Earth, I used it before and never thought to use recently. I think I will moving forward. Thanks. 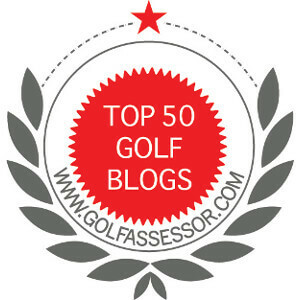 It’s a great tool for taking a look at a golf course you have never been to. The ground view gives you a nice way to start your planning early.